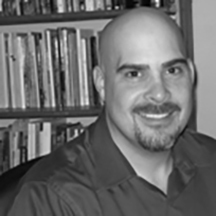 Grant Clauser earned an MFA in poetry from Bowling Green State University where he was a Richard Devine Fellow. In 2010 he was selected as the Montgomery County Pennsylvania Poet Laureate by Robert Bly. He makes his living as a home technology writer, though he spends as much time as possible in the woods away from electronic things. His poems have appeared in a variety of journals including The Literary Review, Painted Bride Quarterly, The Heartland Review, Cortland Review, Wisconsin Review, The Seattle Review, The Comstock Review and others. In 2010 he started the Montco Wordshop, a monthly workshop for area poets, and he has conducted workshops for the MusehouseWriting Center in Philadelphia. His first book, The Trouble with Rivers, is due from Foothill Publishing in 2012. His favorite dry fly is the Parachute Adams. His favorite nymph is a basic Hare’s Ear with a brass bead. More information can be found on his blog www.uniambic.com. My son lays buried by a pear tree / that will never give sweet fruit. I wait for the serious thoughts of winter, the things that freeze if they stand still long enough, while the stars continue to crumple inward” –that’s surprising– “always circling in on something, / moving toward the center of the universe as it closes in the dark.